Lithium is a soft, silvery-white alkali metal that is highly reactive in the presence of water and oxygen. It is the lightest of metals, has a low melting point and the highest heat capacity of any element. Lithium comes from a few source types including deposits such as pegmatite, spodumene, amblygonite, lepidolite, petalite, alkaline brine lakes, or playa evaporates. 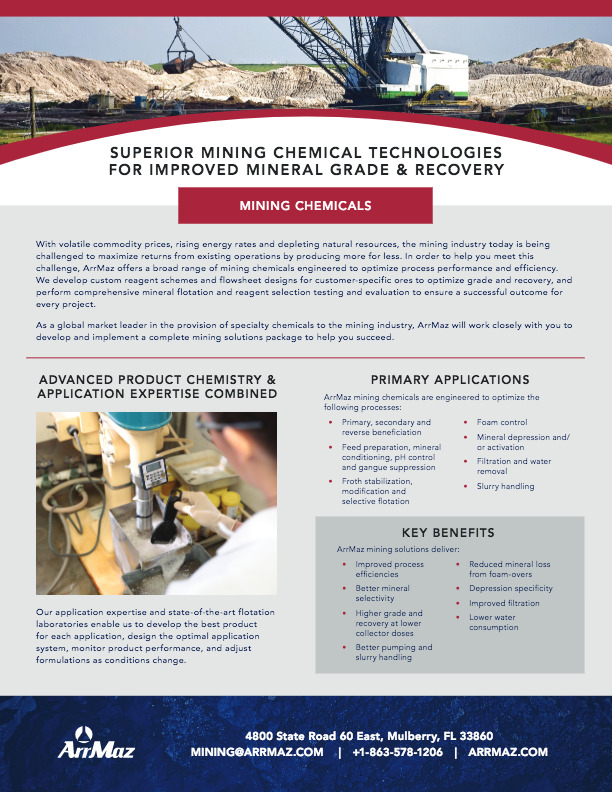 It is most commonly used in cellular phone and automotive batteries, but when sourced from spodumene, due to its structure, it can be used in ceramics and as a fluxing agent. Lithium is also used as a coolant in some nuclear reactors, in lubricating grease, air-conditioners, glass, medicines and more. Whether used in batteries or ceramics, a high lithium grade is essential. Generally, the battery industry requires a high grade lithium carbonate, and the removal of iron, magnesium and other deleterious minerals are key to these high-value markets. When the lithium source is an alkaline brine lake, the standard lithium extraction technique is to evaporate water from brine. Lithium chloride is converted to the carbonate or hydroxide salt and then allowed to move through an evaporation stage. Lithium grade is important, therefore beneficiation may be required. 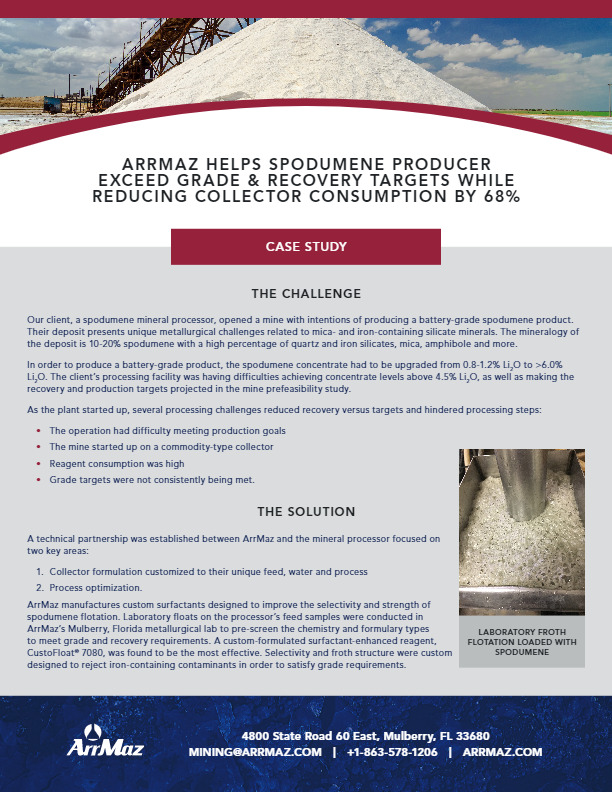 ArrMaz custom develops process chemicals such as flotation collectors and frothers, which are used to selectively float either the lithium-containing mineral or undesired minerals, to deliver the lithium grade our customers need. Our dispersants, rheology modifiers and flocculants are also designed to achieve your rheological specifications.